I am back from the US and have somewhat recovered from my jet lag. The stay was an active one to say the least. In attempting to manage my parents' health care program, I was able to personally reaffirm how the health care system in the US has changed over the past few years. In short, it seems that specialization and large competitive corporate health systems are bringing on a new set of difficulties, which, in many ways, pose much confusion to the person who is ill. It is a trend which has already come to Europe and which is slowly expanding. We as individual pastors and as the ENHCC must eventually address these difficulties, as they affect our pastorate in a direct way. .
My stay in America afforded me the opportunity to easily come in contact with many of the major national pastoral and chaplain associations and organizations. I had interesting phone conversations with: 1. Dr. Orlo Strunk, Managing Editor of the Journal of Pastoral Care 2. Fr. 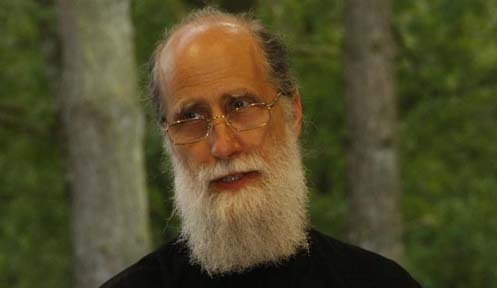 Joseph O'Driscoll, Executive Director of the National Association of Catholic Chaplains, 3. George Handzo, incoming Director of the American Association of Professional Chaplains, 4. Andrew Weaver, Director of Pastoral Research of the American Association of Professional Chaplains. All were very interested and impressed with the Network. They told me that there is a great deal of unfamiliarity in the US as to what is going on in Europe and a great interest in learning more. At first hand, I invited them to visit our website and get a better visual view of our existence. Everyone was very impressed with our website (bravo Fred! ), the countries included in the ENHCC and the organization of the representative Churches and associations. They were also interested and impressed with the European Standards approved in Finland. The general feeling expressed was that we must find ways in opening lines of communication and cooperation between Europe and the American pastoral and chaplaincy services, particularly in light of globalization. For starters, all the contacts expressed the desire to add the ENHCC to the links of their websites. Seeing how the web is now such a point of reference for everyone, it is my personal opinion that this agreement is a major success in the right direction. I have been invited to write a guest editorial for the Journal of Pastoral Care, which is read by 10,000 subscribers (! ), so as to describe the ENHCC, including the European Standards. Both George Handzo and Fr. Joseph O'Driscoll informed me that all the chaplaincy organizations of North America are meeting for the first time in Toronto, Canada, in February. They both expressed the desire that the ENHCC be represented at this historical conference. I will be in contact with George Handzo as to see how this can take place. Andrew Weaver expressed the desire that we find ways in researching together in the areas of healthcare chaplaincy. In our conversations, we spoke about the common problems we face as pastors in healthcare settings. It seems that in the US, the psychiatrists and psychologists are snubbing pastors as being too "religious" and the church administers and workers are suspicious of them being too "psychologically" oriented. In hearing this, it was indeed reassuring that we in Europe are not alone in our difficulties. In all my contacts, I mentioned and discussed the problems that the French delegations were undergoing, and there was a great deal of concern expressed about that. On a whole, it seems that we really have already accomplished a great deal as the ENHCC. We seemed to have formed a multi-cultural body based on firm traditions and professional standards, equal if not surpassing those in other parts of the world. So our work has now begun and we are moving forward, paving a new road to cooperation and unity!